Kontak Recruitment values personal contact with employers, clients and job seekers as one of the most important aspects of recruitment and selection. Kontak Recruitment manages the Job specification writing, advertising of listing and response handling including pre-screening and interviewing. References and background checks are completed on every candidate. Kontak Recruitment provides after placement service with a 3 month guarantee period. 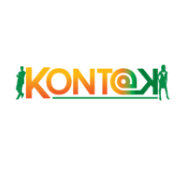 Kontak Recruitment assists job seekers in finding their sought after position through our current job listings. We deliver a professional CV writing service to job seekers to ensure that theirs CV's are current, modern and fresh therefore being attractive to potential employers. Whether you are looking for staff or looking for job opportunities, Kontak Recruitment has the solution for you. Contact us to find out how we can assist you with your recruitment needs. Kontak Recruitment endeavours to take all reasonable measures to ensure that the job seekers referred meet the client requirements. Kontak Recruitment works on a contingency basis which means fees are only payable if a placement is made with a 3 month guarantee period. Kontak Recruitment provides quality recruitment. Through our stability and integrity, we have carved out a substantial market in the industry. We are a customised outsourced service company, designed to provide a set of flexible, cost effective hiring solutions to clients of every size and industry. At Kontak we are committed to establish and maintain a positive difference to your staffing needs. Our consultants boast with a total of 30 years experience within the industry. We understand that companies today require more than just skilled candidates, they reach for employees who are productive, exhibit positive attitude and have the ability to become part of their team. providing leadership on quality assurance of respective programme offerings on different sites, and the need to shift from competition to collaboration, coherence and regulation. promoteand support scholarly teaching in disciplines by identifying ways of promoting and developing a new generation of scholars in the field of teaching and learning. Attend meetings of institutional teaching and learning structures (committees or fora) to help address institutional teaching and learning challenges and to develop institutional level solutions. Provide leadership and guidance to academic staff with regard to the development of new qualifications and appropriate curricula, including identifying innovative methods of delivery and assessment, in response to national and regional needs, as well as the needs emanating from the 4th Industrial Revolution and in accordance with university policy. Identify and develop faculty specific approaches to address the training and development needs of academic staff and heads of departments. Manage module success and graduation rates of all programmes in the faculty. Identify and support at-risk students. Statistically analyse institutional student data in order to inform faculty and institutional decisions on teaching and learning, curriculum design, and admission requirements. Statistically analyse faculty-specific teaching and learning data to inform student support initiatives, curriculum planning and strategic planning within the faculty. Communicate and promote a data/research-driven understanding of the learning and development needs of students and develop faculty-specific interventions, in collaboration with Centre for Teaching and Learning (CTL}, to address the specific learning needs of students in the faculty. This includes, but is not limited to, high impact student support programmes and practices such as tutorials, academic advising and the core undergraduate curriculum. Communicate the needs of academic staff in relation to teaching and learning infrastructure, support and technologies through appropriate faculty and institutional structures. Emphasise all aspects of academic quality assurance and provide guidance and assistance to Heads of Departments with external and/or internal programme reviews. Report on teaching and learning for the faculty on various institutional and faculty fora.